Aerial View of Terry Lee's Facility. 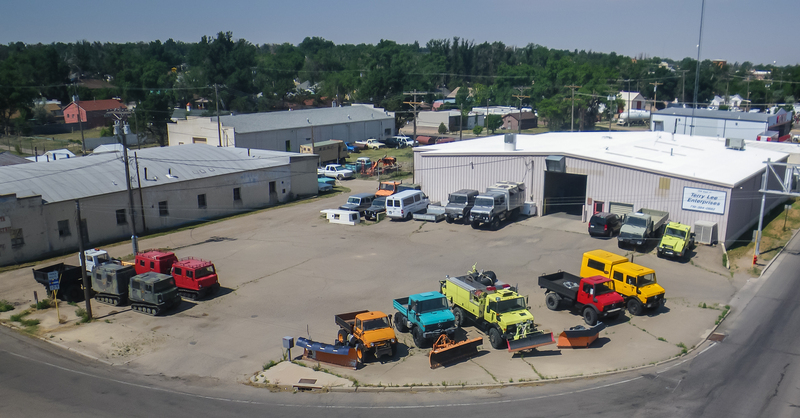 Photo includes Unimogs and Hagglunds, G-wagons and other vehicles for sale. Terry Lee Enterprises (TLE) is North America's premier provide of sales, service and customization for Mercedes-Benz Unimogs, Mercedes medium duty off-road trucks (eg. 1017A, 1124A, etc. ), G-wagons and Hagglunds. 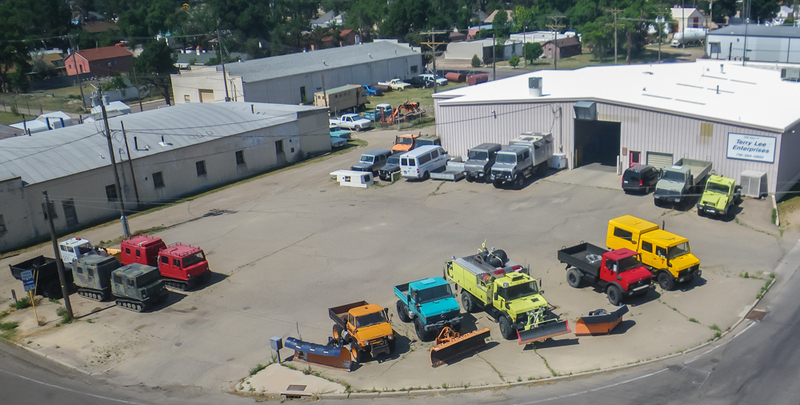 Based in La Junta, CO, TLE carries a substantial inventory of vehicles for immediate delivery (check our inventory page) and can provide service and customization for these kinds of vehicles. In addition, TLE frequently has snow removal implements in stock for these platforms. TLE is a U-500 specialist; we have STAR diagnostic systems and U-500 specialty tools. On prior arrangement, TLE can provide on-site domestic or international service for your Mercedes Unimogs. TLE has an extensive facility to service your vehicle and can provide sales and installation of heavy-duty off-road tires for most Unimogs and Mercedes medium-duty off-road trucks.